• After payment you receive a Uplay account with the game Anno 2070! • Other games may be present as a bonus on your account! 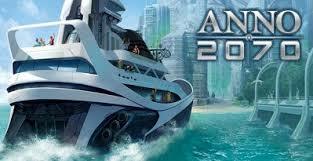 Anno 2070 - the continuation of the famous series of strategies. This time you go to the year 2070. You are waiting for the era of global changes in the earth, the cataclysms that made land dry with water and land. You can play not only on the storyline, but also freely build. Also there is a multiplayer mode! Your account may not have the right language for you!